As I already mentioned in the first part of this review in the first leg of our trip we planned to stay in Istanbul for three nights. We didn't have a lot of time for this huge city, so on the next day after arrival without any hesitation we jumped right into the streets to discover the city. Prior the arrival we of course checked internet and some books on the main sights of Istanbul, but I wouldn't say that we had a clear plan of what and when to do. It's always better to rely on pure coincidence and luck when exploring a new place. J + You can never precisely plan your trip taking into account all the factors, for example weather. · After a short breakfast and some Turkish tea we took the tram to Spice Bazaar (tram line heading to Kabatas). Visit to the Spice Bazaar was one of our must-see places. 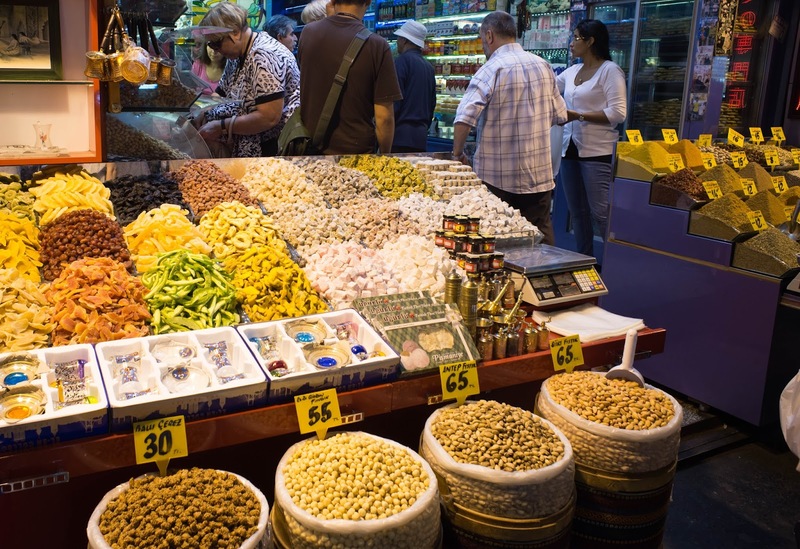 Spice Bazaar is located in a very busy area – Eminönü, Fatih district. It is a place where the vast majority of ferries are departing towards the Asian side of Istanbul. The first thing you see after getting out of the tram is the definitely beautiful Yeni Cami or the New Mosque. The Spice Bazaar is located just behind the mosque. I must admit that the Spice Bazaar left a big impression on me. There are a lot of different spices, Turkish delights, teas, coffees, local food, etc. 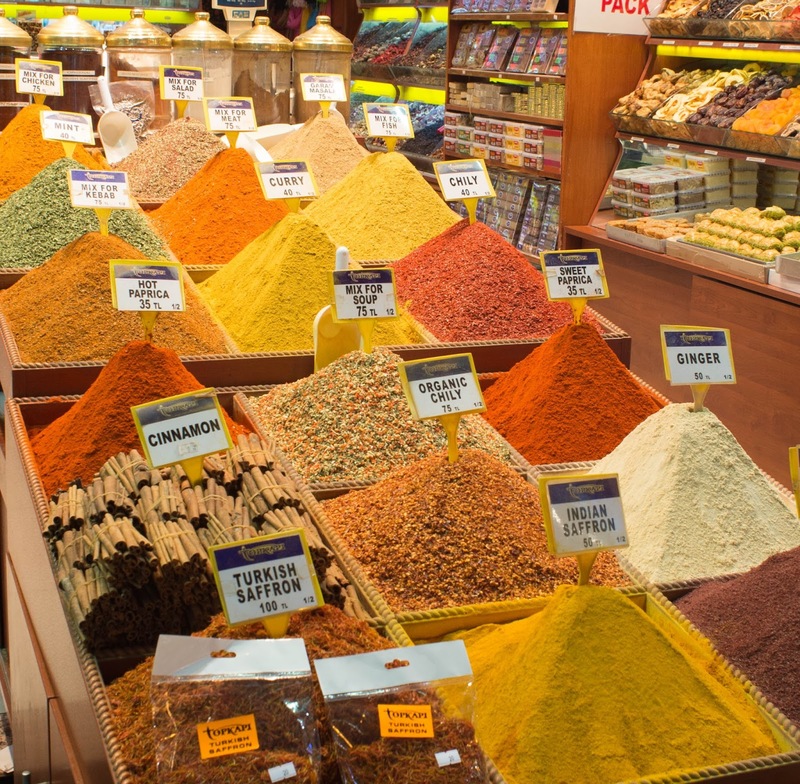 When you get close to the Spice Bazaar you can feel the scent of spices in the air. Inside the Bazaar the scent is very strong and I even a bit disliked it after a while. Regarding the Spice Bazaar there are two tips from our side. 2) We were clearly surprised by the relatively polite sellers in the market. Back here in Latvia there is a stereotype that Turks, especially sellers, are very pushy and sometimes can offend you too much. But that is clearly not the case in Spice Bazaar (and also generally in Istanbul). Yes, sellers are more proactive than in the northern part of Europe, but still they are polite enough so you don't feel any discomfort. Although in most guidebooks you'll read that it is necessary to bargain/haggle, you won't have a lot of opportunities in Spice Bazaar. To develop you skill of bargaining you have to go to Grand Bazaar or even better to some local district-type markets. Free market economy and hordes of tourists have somewhat decreased the willingness of seller to bargain. · We we're walking in the narrow streets of Spice Bazaar already for a while when I started to notice that the surrounding start to change. And there it was – the great Grand Bazaar. When walking around the Spice Bazaar you don't even notice the borders between both Bazaars. All the way from Spice Bazaar to Grand Bazaar there are little huts wits with sellers selling almost everything you can imagine. As Grand Bazaar was also definitely on our must-do list, we went inside the great building and started to explore the Bazaar. I must say it's absolutely huge. We didn't expect we will find ourselves in Grand Bazaar that day – it's why we didn't have the map with us. But I would suggest you to bring one with you. J Grand Bazaar is split in several sectors depending on the goods that are sold there – for instance, jewellery, furniture, carpets, leather goods, lanterns, ceramics etc. Personally for me the most striking impression was from the hanging lanterns. They look so authentic and Turkish styled. 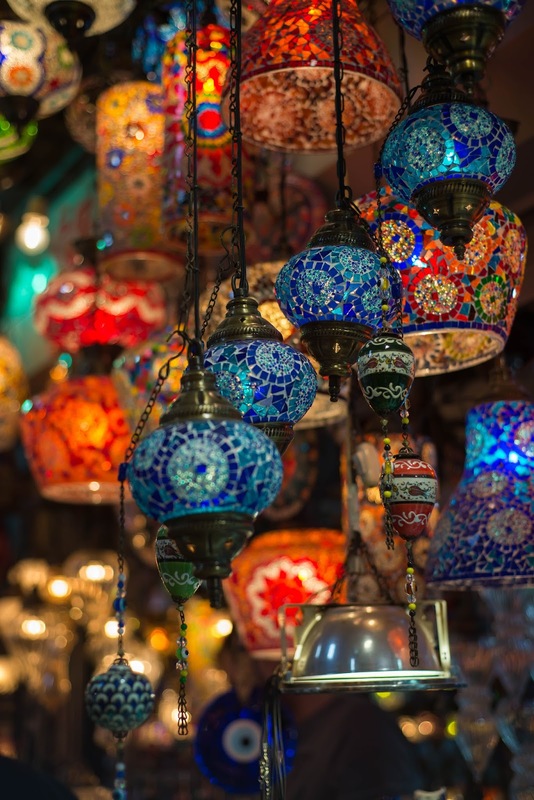 All in all Grand Bazaar is the place where you feel that tour in Istanbul. In Grand Bazaar you get this feeling of historical mightiness of this country. · After a short break and another kebab we went to look at the famous Taksim square. To get there you need to take the tram to Kabatas all the way to the last stop. There you have to change to a funicular. There is nothing much to see at the square by itself; however the place is very popular among tourists. This is also the place where the huge demonstrations took place in 2013. And also this place, especially in the direction back to Sultinahment is full of restaurants, shops and hotels. So this is a place to go if you want to do your shopping or visit a bar/club in the evening. + There are a lot of small romantic cafes in the small streets of the district (don't stick only to the main road – at least in the daylight it is generally safe there). 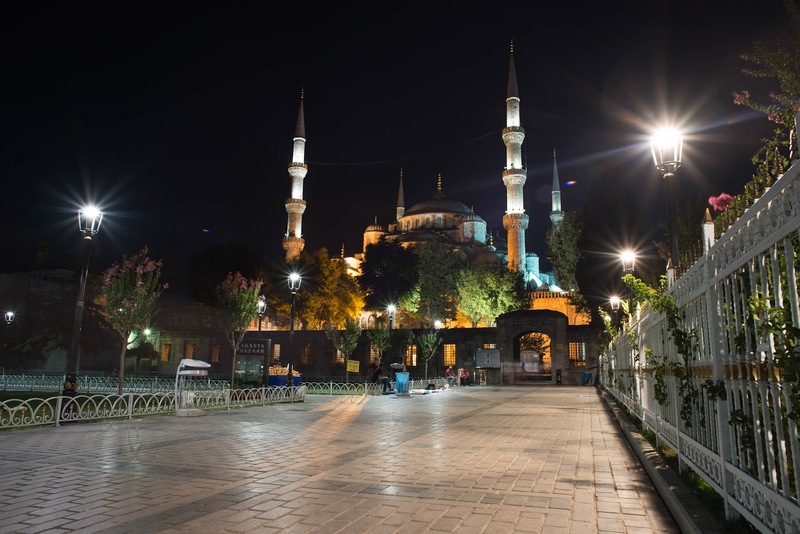 It is a very pleasant 30-40 minute walk to get from Taksim square back to the Golden Horn. On your way you can also stop at the Galata tower – a stone tower built in the 14th century (it is quite weird that there is a night club at this place now). · On the second day in the morning part we went to the Blue Mosque. We had to choose between Ayasofya and the Blue Mosque due to the time constraints. We chose Blue Mosque relying on two factors – it had no entrance fee and it is still actually used as a Mosque as opposed to Ayasofya, which is more like a museum nowadays. 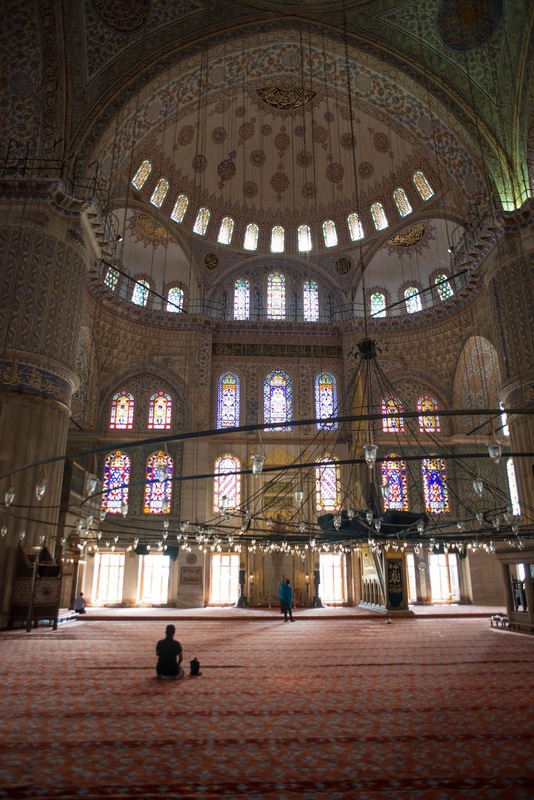 However on out next trip to Istanbul we'll definitely visit the other one – they say it is very beautiful inside with all the artifacts. To get into the Blue Mosque you have to stand in a quite a long queue, however it is moving quite fast. It took as about 30-40 minutes to get into the mosque (remember that you have to be appropriately dressed and you cannot visit the mosque during the prayers). There is actually nothing much to say about it – you just have to see it yourself. J It is very beautiful and you can see why it is called the Blue Mosque. · On the second day of our trip we also went to the other side of Istanbul – to the Asian side. We took the ferry from Eminönü to Kadiköy station. The ride takes about 20 minutes and you can use your Istanbulkart to pay for it. 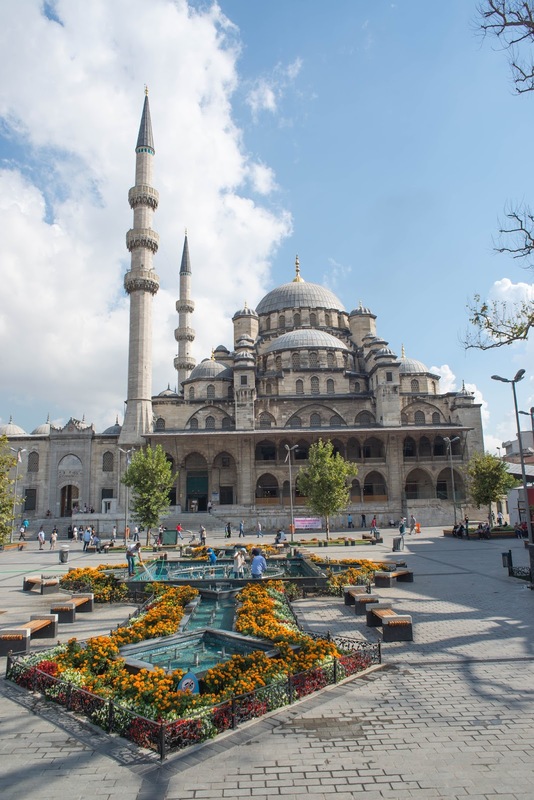 It is a beautiful ride – you can see both sides of Istanbul, the Mosques all around the city, the Bosphorus bridge, and Maiden's tower (the tower was featured in the James Bond film The World Is Not Enough). 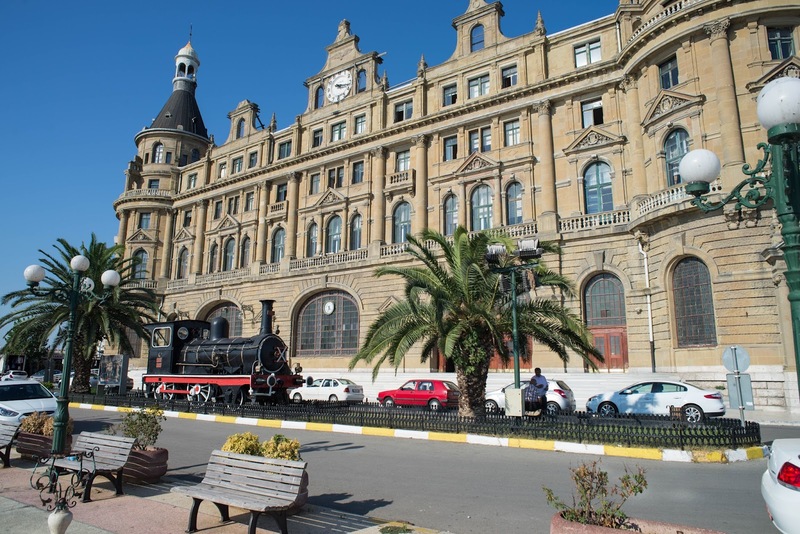 On our way we noticed a magnificent building – that was Haydarpaşa train station. After arriving at the Asian side we took a walk around Kadiköy district. We didn't have a map with us (actually we did, but it had only the European side on it...), so this was a great chance just to wander in the streets of unknown Kadiköy. We found a great place were authentic Baklava was sold. 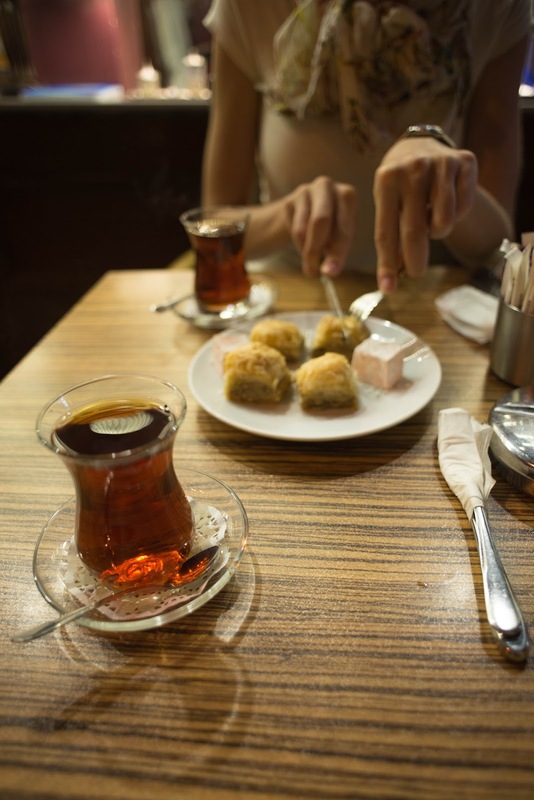 We tried different varieties of Baklava and drank Turkish tea. This was one of the best we tried in the entire trip and the funny thing – definitely the cheapest (the vast majority of goods and services are a bit cheaper on Asian side, away from touristic centre). After the short stop at the baklavas, we continued to walk around Kadiköy and found ourselves in a very beautiful district with a lot of greenness and beautiful residential architecture which certainly differed (reminded of scenes from San Francisco) from the one seen on the European side. It looks so much different on the Asian side – you can feel grasp of Asia there. I would definitely recommend you to visit Kadiköy and take a walk around the small streets. In case you don't want to risk by getting lost, walk along the circular tram line – it will bring you back to the Kadiköy ferry port. 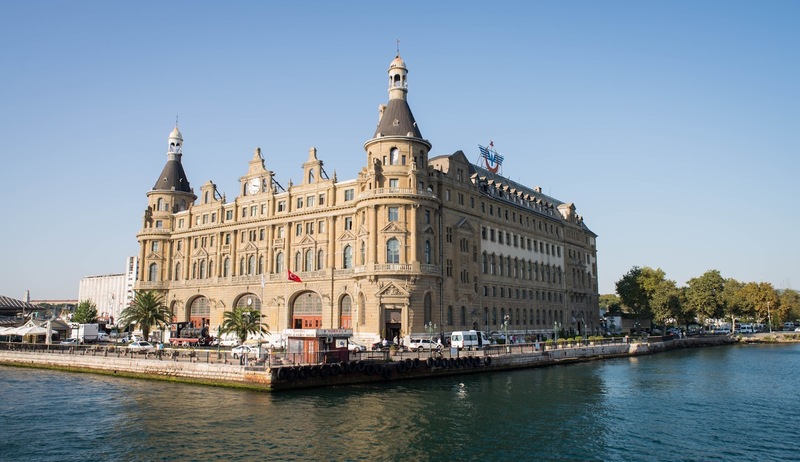 · Then we went to look on the Haydarpaşa station. Prior our trip I read somewhere that the train station is not used currently because of some maintenance works in the railway system. We took the metro from Kadiköy to the next station – Ayrılıkçeşme. A nice shopping mall actually is located at this metro station – you can find everything you need there. While we found a place to eat a great food – Kirkpinar. Some kind of ecological catering cafe, with great traditional Turkish cuisine. If you get there – you should definitely try Biber dolmasi. After a short stop at the shopping mall we went further to the train station. It is about 15-20 minutes away. It was such an odd feeling at the Haydarpaşa station. Everything is open, workers are there, trains are there...but everything is quiet – no passengers are there. This reminded us of some apocalyptic movies when all the people suddenly disappear. But this was only the one side of the story. The other one is the beautifulness of the station. As you may probably know – I'm in a way collecting the train stations I have visited – by visiting a new city I definitely try to visit its train stations. And you know what? This is clearly one of the most beautiful ones I have ever visited. Such a beautiful building, both – from interior and exterior point of view. Personally for me this was one of the highlights of our trip. We drunk some more Turkish tea at a small outdoor cafe in front of the station, by shore. · In general it looked to me that the Asian side is a bit less developed (or maybe I should say – more rural) – the prices are lower than in the European part; there is almost no chic or tourism attractions. People are more conservative too – you can see more women in their Islamic headscarves. P.s. 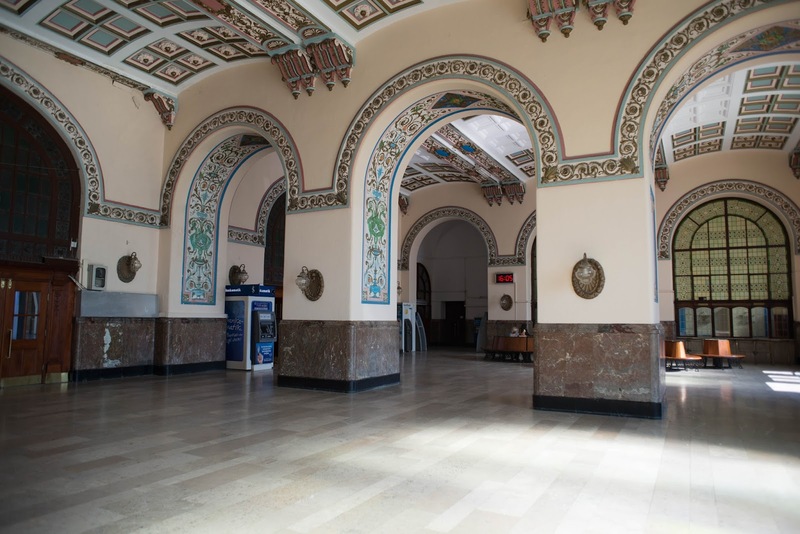 If you decide to go to the Asian side, there is a good alternative to the ferries – the Marmaray line, which connects both sides via tunnel. Due to various reasons it is still very unpopular among the locals, and often tourists don't even know about this option. But on our second trip to the Asian side we used this train and found it to be very convenient – especially in the hours when ferries are overcrowded. Beautiful shots with that camera!